It’s hard sometimes to decide whether to send your child to school when he or she doesn’t feel well. It is very seldom a convenient situation when your child is sick. Often, you have to consider work schedules, childcare arrangements, transportation and other family matters in that decision, and of course, you want what is best for your child’s health. These guidelines are the standards of practice for the Immaculate Conception School Health Office. They were developed from the New Jersey Department of Education /Division of Student and Field Services Parent Education Handbook. FEVER – check your child’s temperature with a thermometer, and if a fever over 100 degrees is present, don’t send him or her to school, even for just a little while in the morning. It doesn’t help your child’s health to give medicine for fever and send them on to school…that only reduces the fever for a short time, and doesn’t take care of the illness that is causing the fever. 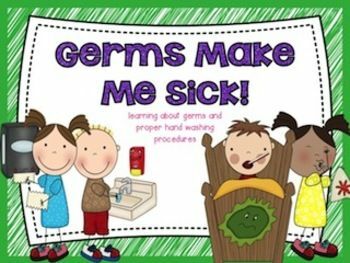 Coming to school sick (and possibly contagious) not only exposes other children to the illness, but also delays your child’s healing time. Once the medicine wears off and the fever returns, your child must be picked up anyway, and valuable healing time has been lost. Children must be fever-free for 24 hours, without the use of medicine, before returning to school. VOMITING/DIARRHEA – until we know that these are not signs of a contagious illness, such as a stomach virus, your child should be kept home. Consider how uncomfortable these two things are, even to an adult who has better control, and how distressed and embarrassed your child will be at school having to go to the restroom often, or feeling sick while sitting at his/her desk. If the vomiting or diarrhea happens more than once that day, or if they are associated with fever, you must keep your child home. Even if these things happen only one time before school starts, and your child feels better immediately afterwards, it is still wise to watch for a few hours to see if it happens again before sending him or her on to class. SKIN RASHES– if the rash has any fluid or pus coming from it, the child must remain out of school until the rash has been treated and a note from the doctor states it is ok to return to school, or until the rash is gone, dried, or scabbed over with no new spots appearing. Anytime a rash is associated with fever, the child may not come to school until that fever is gone for 24 hours without medication. Sometimes a rash is a sign of a contagious disease such as chickenpox. Sometimes, rashes are not contagious, but are uncomfortable and itchy from contact with something the child is allergic to. In that case, although school is certainly a good option, please consider comfort measures such as an antihistamine, following the district policy for medication administration at school and discussing possible treatment with your doctor and/or the school nurse. RED EYES, ESPECIALLY IF THERE IS ALSO DRAINAGE OR CRUSTING AROUND THE EYE -this can often mean your child has conjunctivitis, also known as pink-eye. Not all pink eyes are contagious. Sometimes it is just allergies or other irritations that are causing the red color, but until we know for sure, which means we must have a note from the doctor stating the condition is not contagious, or until the redness and drainage are completely gone, your child must remain out of school. PEDICULOSIS (HEAD LICE) OR SCABIES – these small insects cause skin conditions that are uncomfortable and itchy, and could become infected. When students are identified with these conditions, the parent or guardian will be contacted and asked to immediately pick up their child and his/her belongings from the program. Parents should ensure their child is promptly treated with the appropriate medication; further, they should ensure all belongings that were removed from the program are washed before being returned to the program. It is understood that several treatments may be necessary to remove all forms of head lice. Following the confirmation, Immaculate Conception School will take the necessary precautions to ensure the program is sanitized and safe for the children. If your child has other symptoms such as headaches, cramps, sore throat, cough and/or thick mucus that don’t require them to be out of school but that will make them uncomfortable during school, please discuss the use of over-the-counter (OTC) or prescription medications with your doctor, and remember you must follow the district requirements for giving medicine at school. Call the school nurse if you are not sure about those requirements. Kids who are truly sick will heal better and faster when they have proper rest at home, with lots of fluid for hydration and healthy nutrition. We have common goals with you- the health, safety, and school success of your child!